In December of 2017, the world looked bleak for Mega Man, ignored on his 30th anniversary, the little robot had not seen a game from Capcom in 8 years. His most recent release, Mega Man 10 had proven to be a commercial failure and in more recent years Capcom had undergone a change in focus, moving towards more successful properties such as Monster Hunter, which moved units in the order of millions rather than thousands. The final nail in the coffin had come with the departure of Keiji Inafune, the series’ creator from Capcom in order to make a spiritual successor to Mega Man, Mighty No. 9. But the game was plagued with problems that were not resolved and ultimately it disappointed on release. That is, until one fateful day when Capcom would prove they could still shock the world. 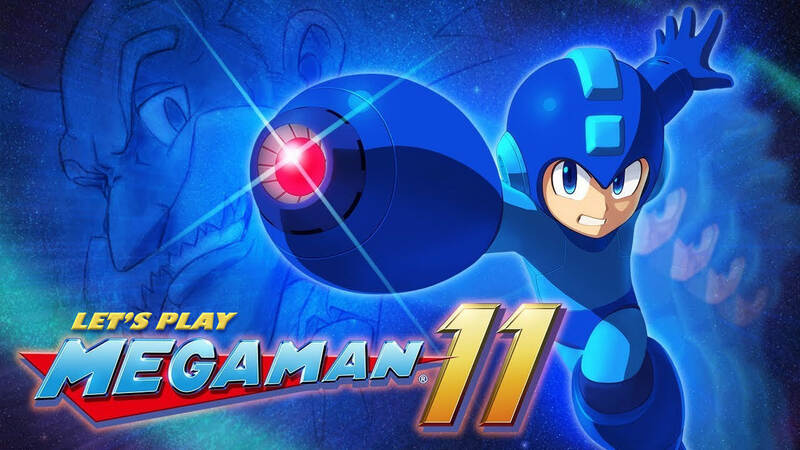 Mega Man 11, announced on the 4th of December 2017 is set to be a departure from its predecessors, favouring a 2D/3D style and adding in new systems for the Blue Bomber to take advantage of. It garnered a favourable reaction, with many welcoming the move away from the 8 bit graphics that defined the previous era of Mega Man games. The game released on October the 2nd 2018 and us alongside many other fans were happy to pick it up. I, alongside my best friend and erstwhile colleague Yorkshire Tea, will be running a video LP of Mega Man 11. We will be doing a full clear of the game on normal (or casual if it’s too brutal) mode and checking out any extras and bonuses we find to be interesting. We previously played Mega Man 9 and Mega Man 10 earlier in the year, critiquing the games from a modern perspective. Our LP of Mega Man 11 serves a similar purpose. Given our familiarity with its predecessors and the unique format of our presentation, we felt that capturing our own thoughts and comparing them to the reviews of the game on release would prove to be an interesting endeavour. So without further ado, click on the image above to take yourself to the wonderful Prologue and join us on this great new adventure!